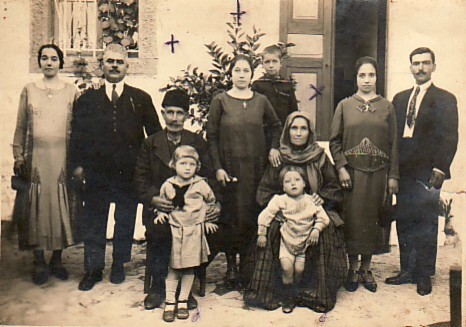 Above Right: Kafkara Neighbourhood, 1925. 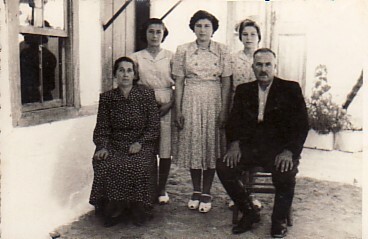 Standing from left are: Marianthi and Paraskevas Kallintzis (nee: Mihailarou); my maternal grandparents, Giorgos and Anna Hatzipaleologou (nee: Menemeniou); Ekaterina and Stavros Mihailarou (nee:Hatzipaleologou). 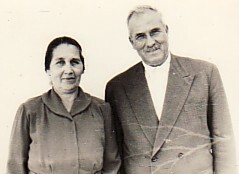 The boy at the top is Efstratios Vogiatzis, while in the front are Valentini and Eleni Vogiatzi. 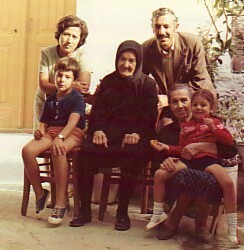 Above: With my parents, Evlalia and Fotios, and my sisters, Mary and Anna. I am standing on the right. 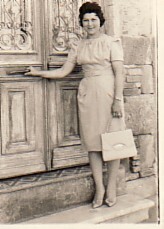 Above Right: Dressed for Apokries. 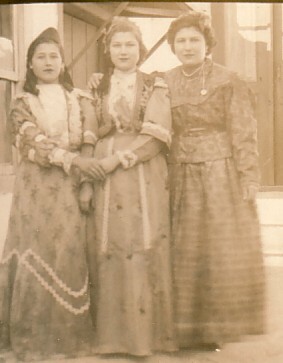 With my sisters, Mary (left) and Anna (right). 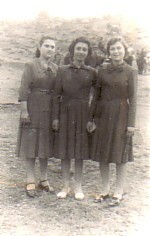 Above: With Stella Zarparini (left) and Eleni Vouvouli. 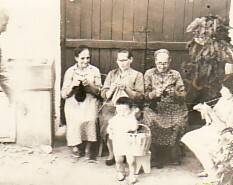 Above: My mother, Evlalia (middle), with her sisters, Ekaterina (left) and Marianthi (right).